Benzie County is located in the northwestern Michigan's Lower Peninsula and is an ideal location for get-a-ways or vacations any time of year. Only 30 minutes west of Traverse City, Benzie is well known for its natural beauty and opportunities for outdoor recreation. Benzie’s 60 miles of coastline, which includes 25 miles of Lake Michigan shoreline, create an ambiance for relaxing leisure time. On the other hand; the forests, dunes and bluffs of Sleeping Bear Dunes National Lakeshore and Pere Marquette State Forest offer over 100 miles of hiking or biking trails and wildlife habitats for outdoor enthusiasts and nature lovers. Benzie County is an area of sand dunes, bluffs, rolling hills, orchards, meadows, lakes, and rivers. Put all of these on the shore of Lake Michigan and you have one of the best vacation places in the state– truly Pure Michigan. Beautiful lakes and rivers for water sports, abundant with various species of fish for the sportsman, and over 60 miles of shoreline with sandy beaches help to make this a "vacation paradise." Benzie is a Four Season Playground, home to the #1 ski resort in the midwest, over 10,000 acres of Sleeping Bear Dunes National Lakeshore, Point Betsie Lighthouse, the Betsie Valley Trail, and much more, Benzie has avenues of activity for everyone. 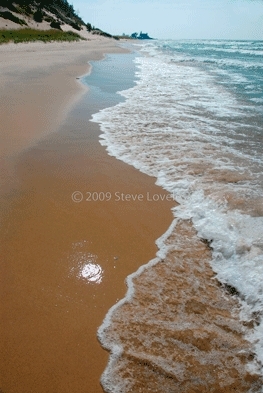 Wilderness seekers, especially, enjoy this very special corner of the world. Benzie’s abundance of water, including Betsie and Platte Rivesr, attracts thousands of people who enjoy canoeing, kayaking, and exploring nature along the waterways. 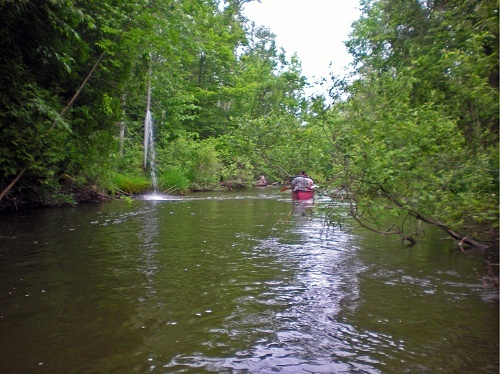 East of Elberta is the Betsie River State Game Area which is 50 miles of state-designated Natural River from Grass Lake. Benzie’s small towns and villages, Frankfort, Elberta, Beulah, Benzonia, Honor, Lake Ann and Thompsonville have unique shops, art galleries, and restaurants all waiting to be explored. Within 20 miles is the internationally renowned Interlochen Center for the Arts. Numerous artists, musicians, and professionals have made the Benzie area their home. Gwen Frostic’s Presscraft Papers is located in Benzonia just off US-31. 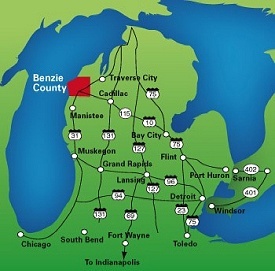 Benzie County is a popular place for weddings, reunions, and other gatherings. 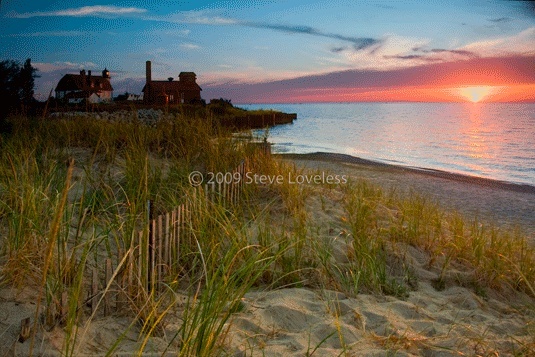 Many people are looking for a unique, memorable setting and Benzie is perfect — with its beaches, Point Betsie Lighthouse, Elberta’s Historic Lifesaving Station, and resorts all willing to make it a special occasion full of memories.